Colour: Vichy Pink 85/45 Cotton/Linen Fabric width: 112cm - 114cm. Dry cle..
Colour: Vichy Pink 55/45 Linen/Cotton Fabric width: 112cm - 114cm. Dry cle..
Colour: Brick Red 85/45 Cotton/Linen Fabric width: 112cm - 114cm. 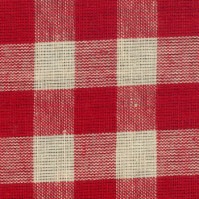 Dry clea..
Colour: French Raspberry 55/45 Linen/Cotton Fabric width: 112cm - 114cm. D..